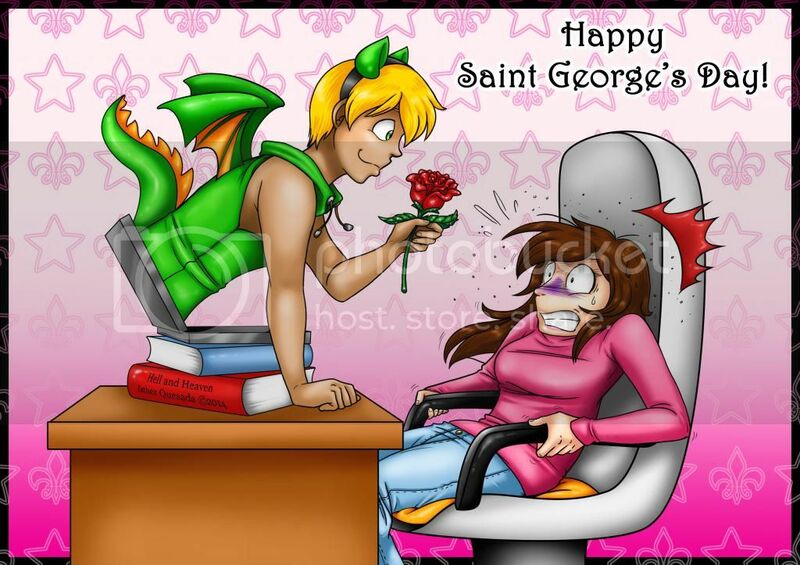 Happy Saint George’s Day…! Or so. I’ve been very busy as usual, but this time I couldn’t even take a simple break for myself. Have two free days now, although I have some work to do… but this friday there’s a new page and I hope you will like it. Have a great week and be brave! Spring is here and there are only two more days left until the weekend! P.D. I will add this pic to the gallery later so you can download it from there if you wish.